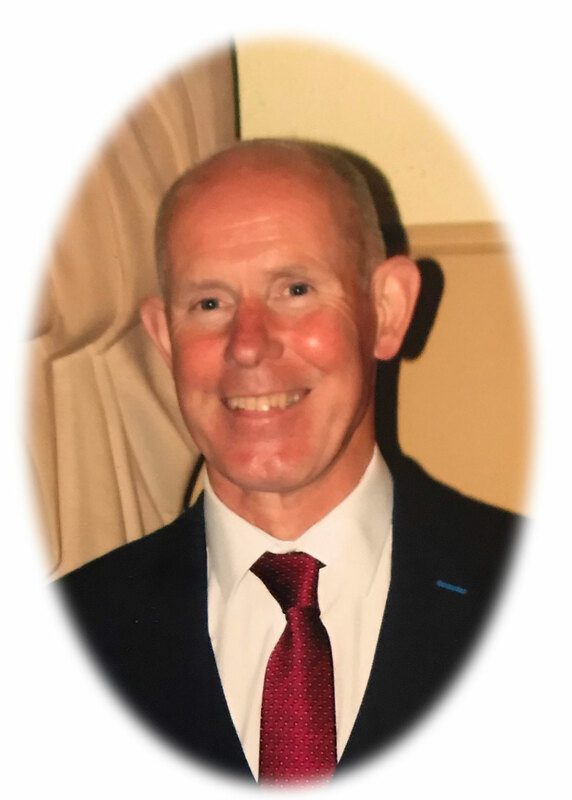 Smyth Kevin (Dromore, Co Tyrone) died suddenly at his late residence 71 Galbally road Drumskinney, Dromore BT78 3JP on Saturday 18th August 2018. Beloved father of Killian, loving brother of Marion (McManus), Cathal, Margorie (Donnelly), Pat and Francis. Kevin will be reposing in his late residence from 6pm on Monday 20th August 2018. Kevin will leave his late residence at 10.15am on Wednesday 22nd August for 11am requiem mass in St Davog’s Church Dromore, followed by his burial in St Dympna,s cemetery. Family flowers only, donations in lieu of flowers to Alzheimer’s Society uk. Deeply regretted by his loving son, sisters, brothers, brothers in-law, sister-in-law, nephews, nieces and entire family circle. St Padre Pio pray for him. Condolences to the whole family. RIP Kevin. My sincere sympathy to the family. You were a true gentleman, great colleague and you’ll be sadly missed Kevin. Rest in peace Kevin. Kevin was a nice man. Sorry for your loss. May he rest in peace. Ar dheas Dé go raibh a anam. Sincere condolences to family and friends of Kevin RIP, especially his son who Kevin talked about in every conversation we would have had. An absolute gentleman making time to speak and talked about family all the time and the importance of family. Always a smile to share thanks for the memories Kevin you’ll be sorely missed. Kevin was a kind man, his loss is great, my prayers are with his family. So sorry to hear this sad news. Was glad to spend time with you Kevin recently during my visit home to Dromore. A wonderful family friend. Rest In Peace. Always a gentleman who had time for everyone. Your humour and friendship will be sadly missed.RIP dear colleague! Rest In Peace Kevin , very sorry to hear . Condolences to family. Kevin was a great man he always had the time to stop and have a chat with you and enjoyed talking about different races he had done over the years R I P Kevin. RIP Kevin. A great friend, work colleague and a true gentleman. You will be sorely missed! A true gentleman in every sense of the word. May you rest in peace Kevin. Rest In Peace. Condolences to his son & family circle. Sincere sympathy to the family. Kevin we will miss your visits sorely. May you Rest in Peace in God’s love.